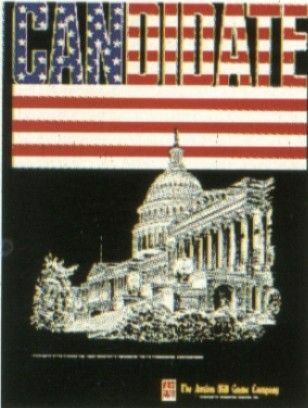 The object of this game is to visit various states in the union and win as many primaries as it takes to get nominated. During a 23 week period primaries will be held in the 50 states. Each player wages his campaign through careful management of ever changing resources, bluffs, and current events on a state-by-state basis to the climactic final days of the conventions and his or her party's nomination. The first player with a majority (270) of the 538 electoral votes wins.